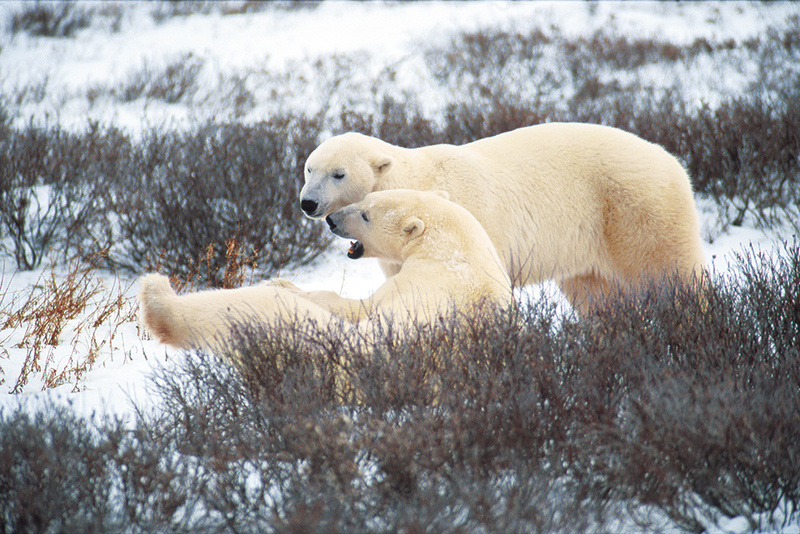 Travel Manitoba staff were very fortunate this past month to be in Churchill to witness the polar bear’s annual migration back to Hudson Bay. We were awestruck seeing the largest land predators in the wild. All the while knowing polar bears are fierce, we noted the hilarious sides of their personalities, too. In celebration of Polar Bear Week (November 2 to 9), here’s a silly salute to Snow White and her seven friends (don’t worry, we can’t tell them apart either). How can you tell if a polar bear’s happy? We don’t know, but this girl seems to have a permasmile and likes to laugh. Do not disturb. 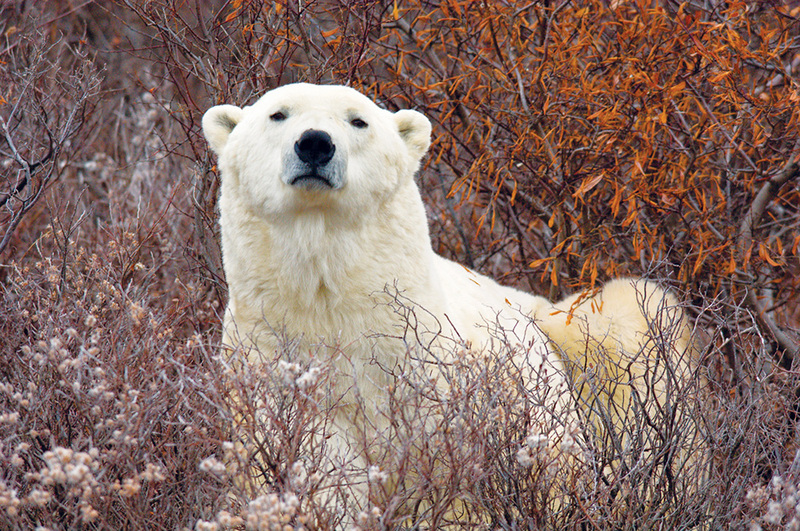 Polar bears definitely give guests the stink eye, particularly when they’ve been roused from a nap. Waiting for ice to freeze on the Hudson Bay must be about as exciting as waiting for paint to dry. It’s no wonder bears doze off a little. Zzzzzzz. Polar bears have been fasting all summer long, so by October/November they’re getting a little hungry. To tide themselves over until they get on the ice on Hudson Bay to hunt seals, they’ll occasionally chew on some brush, berries or small animals. Polar bears are mostly solitary animals, so they’ve gotta do something to keep themselves entertained in the most barren landscape in the world. Often that means beating up their little brother. In fall, polar bears are switching out of their summertime energy-saving mode and getting riled up for the winter seal hunt. But they’re still pretty lazy. A Churchill acronym for ‘big old bear’, BOB is a male who has been around the ice block a few times (and has the scars to prove it).